Landing your dream job is about helping employers understand you and your experience. With increased screening and short listing, a great résumé is critical in landing an interview and employment offer. This workshop will walk you through a university approved résumé template, answer FAQ, and have peer review editing. If you have already written a résumé, please bring that as it is a great starting point. Laptops are strongly encouraged for quick editing during the workshop. 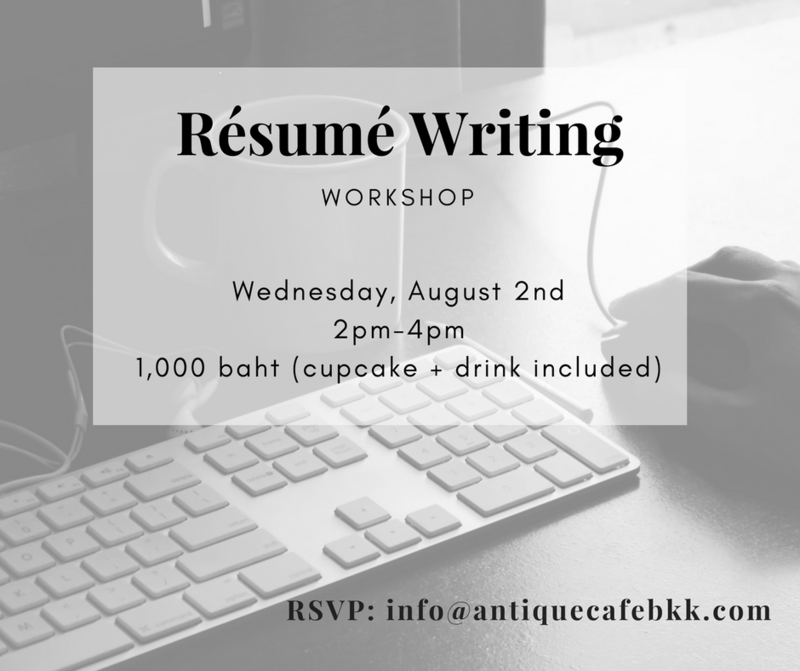 Let us know you are coming by sending an RSVP to info@antiquecafebkk.com!